~ The somewhat random products of Onlyonepinman's paint brush. 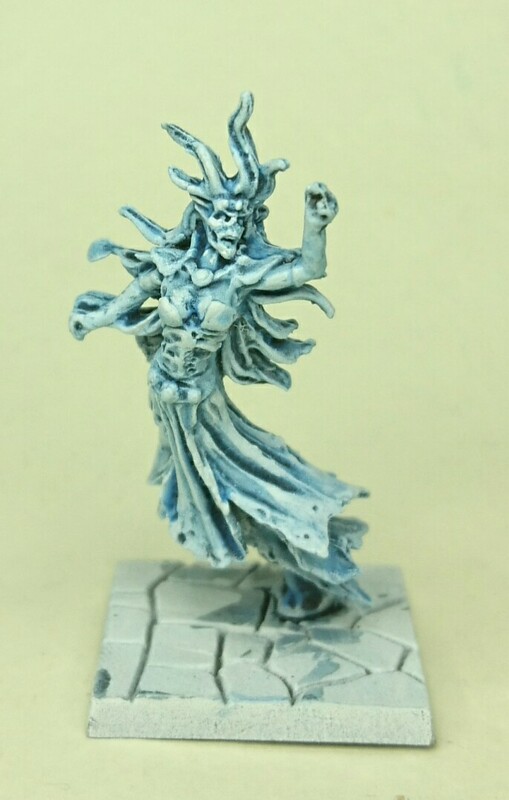 This blog post is aimed at painting ghosts and will show you a fairly quick way to achieve a very nice, ghostly effect. A good example of the effect I am aiming for is the army of the dead as seen in the Lord of the Rings films. They have a fantastic, eerie quality to them with their unnatural green hue. Unlike previous tutorials, I haven’t numbered the paints on a “per step” basis in the image above. This is because White Scar is used twice and I only have one pot of paint. Also, you can use Etherium Blue (Dry) instead of Blue Horror as the shade is the same, I’m personally not a huge fan of the Dry Paint range but your own mileage may vary and the effect will be very much the same. 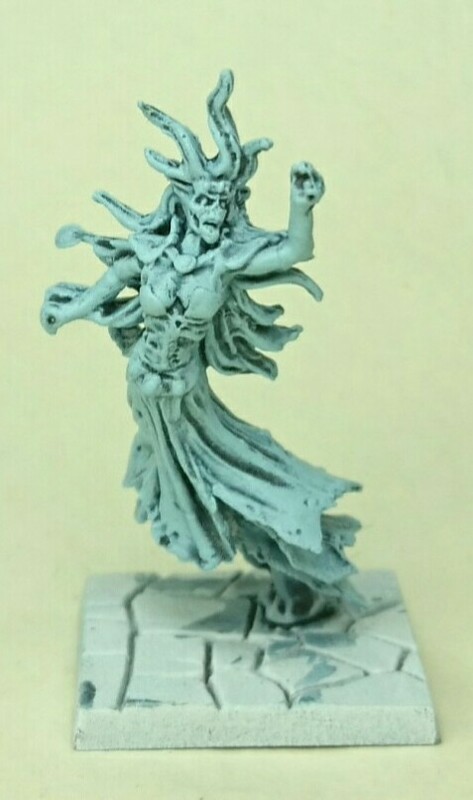 The first step is important; you must prime the miniature with a white spray. Normally I don’t advise on a particular colour of primer but in this case it is important to start with a white base. The next step is to wash the entire model with Drachenhof Nightshade. 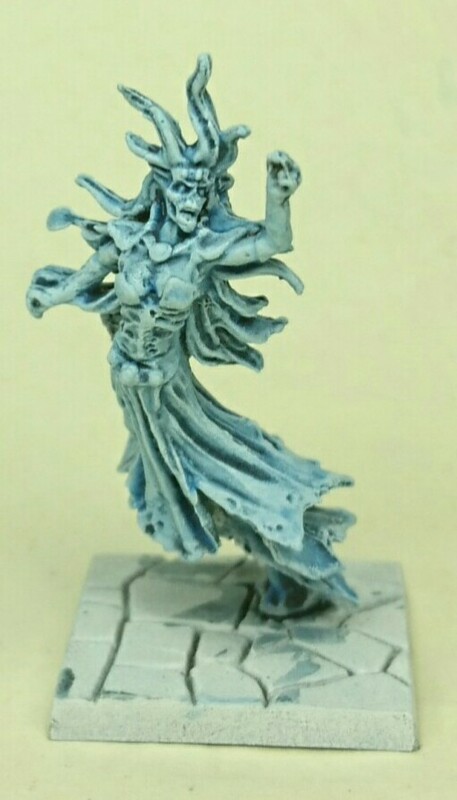 Next, drybrush the entire model with Blue Horror. You can afford to be fairly heavy handed with this, as long as you don’t get the paint into the recessed areas. Now add a further, lighter drybrush of White Scar to the entire model. You need to be lighter with this so that you get less coverage and allow some of the previous coat to show through. To give the model a colder feel, we now add a thinned glaze. I used 2 parts Lahmian Medium to 1 part Giulliman Blue, although you can use water. As always, my advice is to use the medium as this doesn’t change the glaze’s properties whereas water does. Glaze mediums will give you a much better finish. 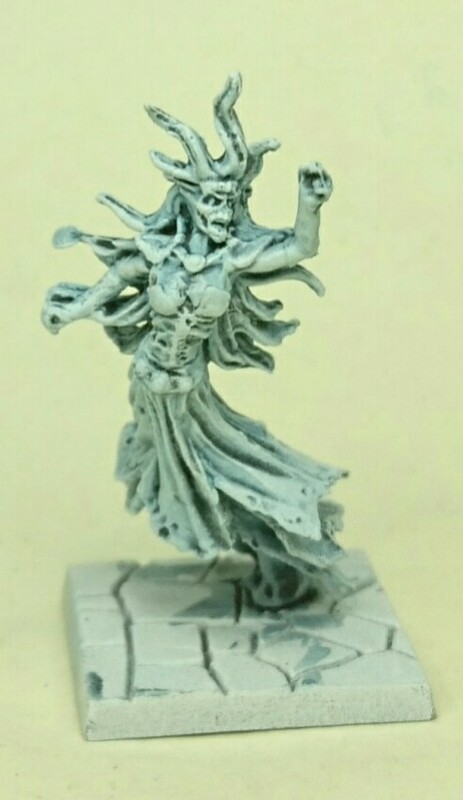 It is worth noting that you can leave the model at this stage of completion as the effect is still pretty good. However for best results I advise carrying on with step 6. This final step is optional but I feel it gives the models a much nicer finish. Thin down a bit of whitescar (about 2 parts whitescar 1 part water is fine) and then use that to pick out some of the more prominent features. 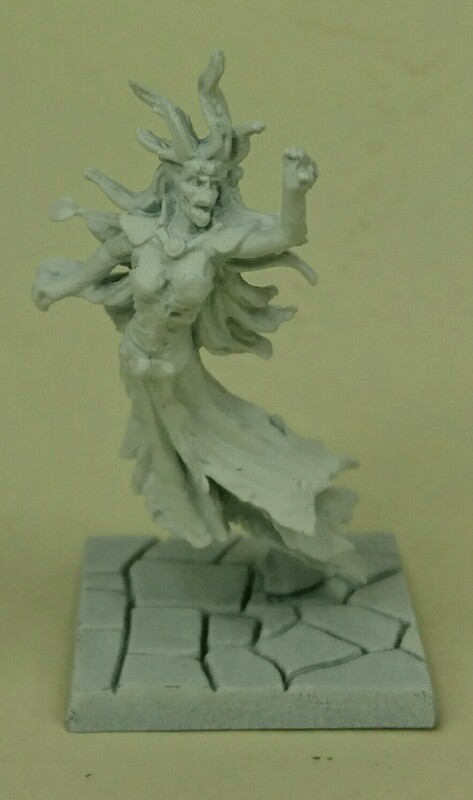 On this model I’ve gone for some of the facial details, the hair, the tips of the breasts, finger tips and some of the larger folds in the material of her dress. And that’s it. 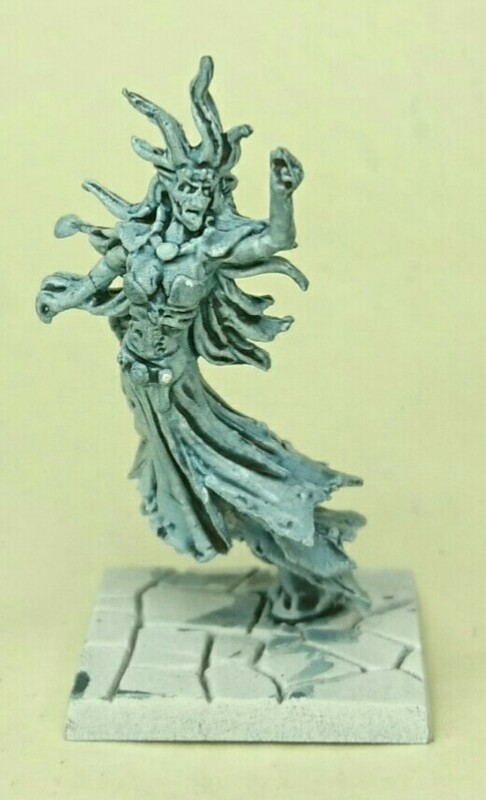 You should now have yourself a fairly ghostly looking ghost! If you want to try some alternatives to this scheme, you can use various shades of green, blue or turquoise. For example, you can try the following colour palettes and use them in the same order. Note that you always start with a white primer for step 1. You could also try experimenting with other colours such as red or purple. The principle is the same. Good luck!